Spelling the end of a performing and recording hiatus, Melbourne-based singer-songwriter and troubadour Matt Joe Gow releases his new album Seven Years. First single from Matt Joe Gow's new album 'Seven Years'. The key is simplicity. It’s not about music from the head, it’s about music from the heart, something Scott Bird and his band Men From Earth knows to be true. Sweet mandolin defines this track, a simple melodic line from Beasley which supports dual acoustic guitars and the subtle rhythm section, resulting in a quietly upbeat track, overlaid with Bird’s vocals. ‘Shine’ talks of the light at the end of the tunnel no matter how dark things can get. 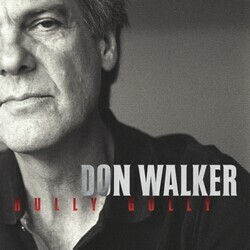 Don Walker is one of Australia’s best and prolific songwriters. And the 1st single 'Young Girls', from his new album "Hully Gully', stands up as one of his best. The Perfect Crime. The 3rd single taken from the critically acclaimed album Hully Gully. Steeped in blues and country music, Liam Gerner has played with artists such as Ryan Bingham, The Drive By Truckers, Paul Weller, Jason Isbell, Robbie Fulks. Mother Nature's Runaway Girl is the 1st single from the new album Land of No Roads.